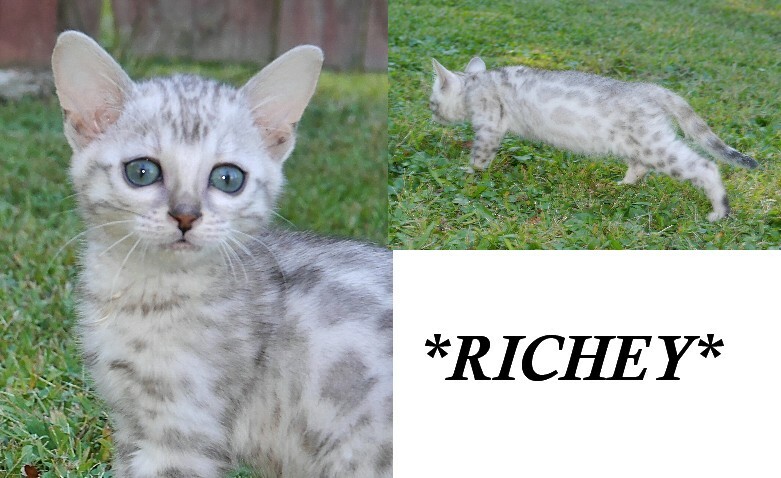 Richey is an adorable little Silver Rosetted F2 Bengal Kitten and is now available for deposit! Rosetted with blue eyes, he is here pictured at 6 weeks of age. He will be ready to leave me the first week of September. 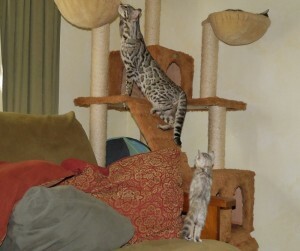 Pictured here with mom (F1 Meraki) as she teaches him to climb the cat tree. Richey is a beautiful early generation F2 Bengal Kitten! 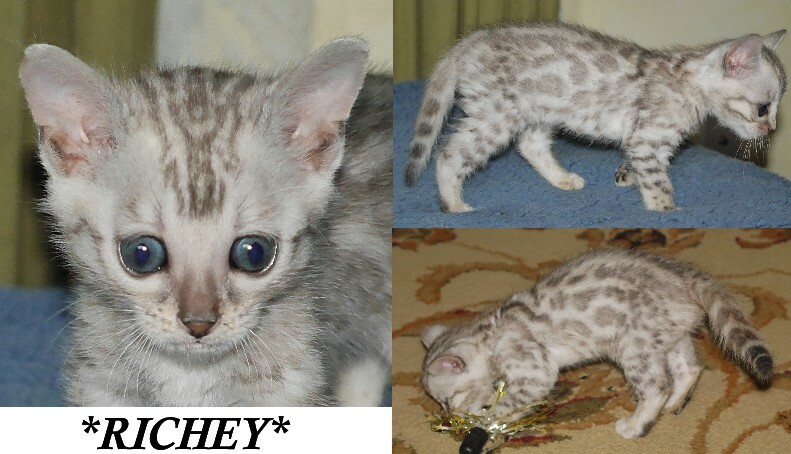 Pictured here at 10 weeks of age, Richey is beautifully rosetted silver with great patterns. Currently has his baby Bengal fuzzies which camouflages the coat a little bit. With time this will begin to clear. This entry was posted in Bengal Kitten Gallery, Gallery and tagged Early generation Bengal, rosetted bengal cats, silver bengal, silver bengal cat, silver bengal kitten, silver bengal kittens, Silver bengals, silver rosetted. Bookmark the permalink.